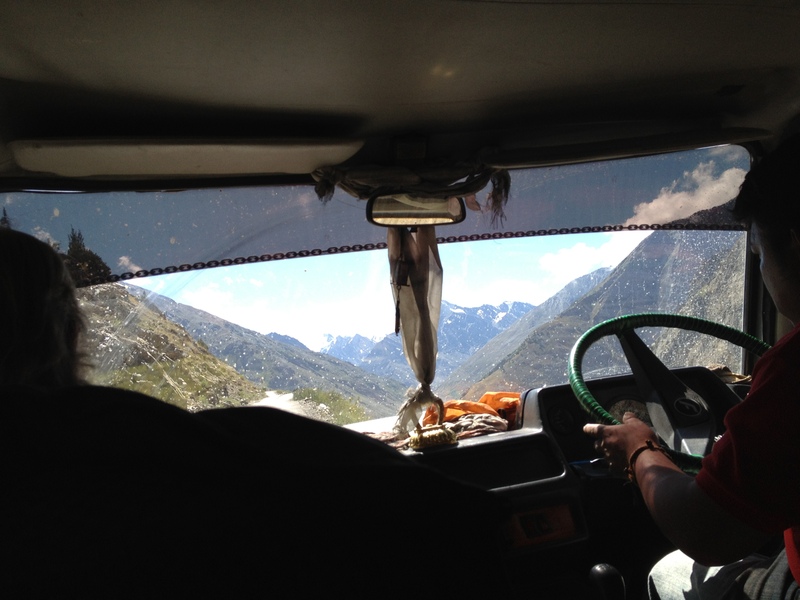 20 hours, 12 people, one big van, and the craziest journey through the Himalayas. Around 130am we climbed in our van/mini bus and took off and headed to pick up more riders. Around 3am we finally set off for Leh with a packed bus including a family of four from Manali, a odd Canadian, an Indian that continuously farted , a funny German, us 3 Americans and a Buddhist monk. Oh and our driver who drove for 20 hours straight. I don’t even want to know how he did it. We all passed out for the first leg and according to Stefan (the German) was for the best because we went through the Rotang pass which is the scariest part of the ride. We woke up to our first police check (entering the state of Jammu & Kashmir) where they check all our passports and we pay 5Rs. to use a bathroom. Every few hours we’d pull over for these checks, food, or to use the bathrooms. Many times we just stopped on the middle of the road for a pee break and us girls would try and find some hidden spot (the only time I’m envious of men). We traveled in a small caravan so in case anything happened other vans were there to help because cell service doesn’t exist up here. This journey was definitely the bumpiest, windiest, and scariest one yet. I’d say it was a mix of off-roading and riding the rickety American Eagle roller coast at Six Flags that whips you around at every turn. We were lucky and suffered no motion sickness nor altitude sickness. We made sure to stay hydrated and took ginger vitamins (anti-nauseous) the whole way up. The 10 yr old boy with us was not so fortunate and had his head in either in a bag or in his Mom’s lap. The views were so surreal, you almost forgot about the jerky, skinny 2way roads that when you passed another vehicle you were sure you’d be falling to your death. There was not a chance you could read or do anything but sleep, listen to music, and stare at the scenery. Most of the trip I just looked out at the mountains in awe and could barely believe how blue the sky was. 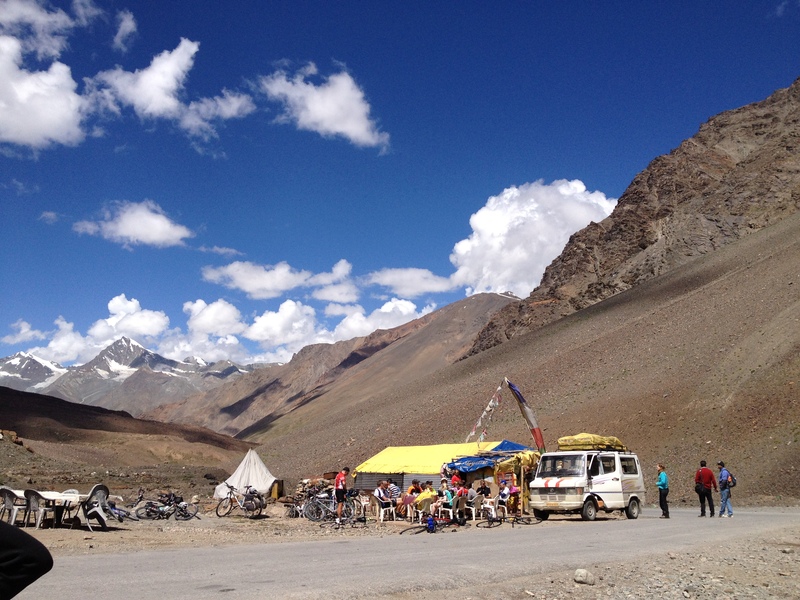 Each little stop was a few tents set up in the middle of nowhere ran mostly by Tibetans. 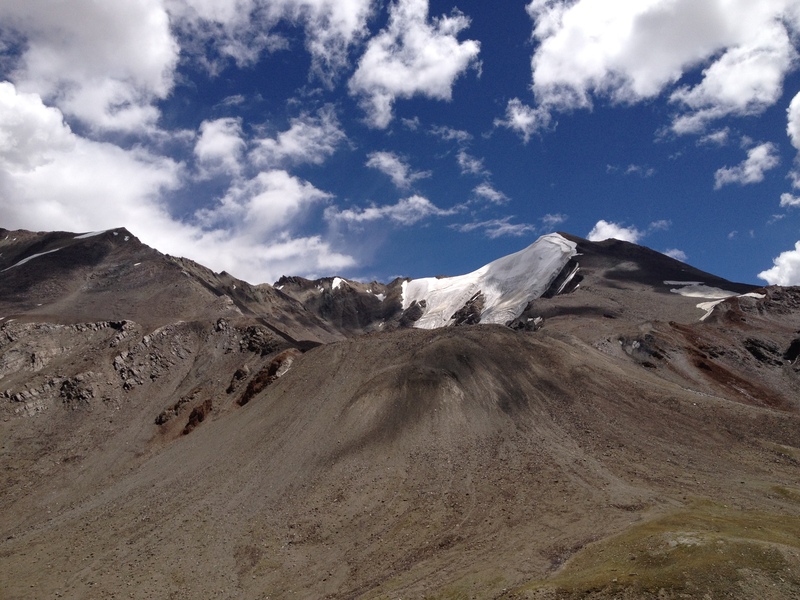 I still can’t get over how beautiful this trip was and how happy I am that we decided to come to Leh.